He looked to the window again, saw nothing but ashes gathered. 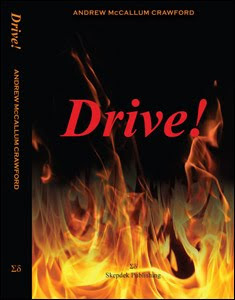 He stubbed out his cigarette then lit another, teasing smoke through his teeth. She remained discreet, concentration drawn behind the cover of a novel. Once this room had echoed with laughter or later at least with arguments; plates smashing on the kitchen tiles, dislodged by the vibrations of a washing machine. Or so he told the neighbours. Now, only the refrigerator buzz and the distant hum of traffic in the streets below. Photos in silver frames on the table: A young couple gaze into each others eyes unaware of the lens trained upon them. He didn't know who they were, their facial expressions so different from anything he could associate with. They looked complete, stepping out on the floor. But deceptions spoil the dance. Little white lies, inconsequential, they build up, ready to burst, drowning a person's sense of themselves. I have to tell her, I owe her that much. She said she would never trust a man, not after her father. It was a challenge, he'd prove not all men were scumbags, he'd show her if it killed him. But her paranoia had worn him down, chipped away any remaining feeling. Is that fair? If I'd been a better husband, talked it over, reassured her. He sighed. Her eyes rose from the page and lowering the book she flashed him a questioning smile. She looked as if she was going to speak but thought better of it and returned to her reading. Surely she must know, its clearly not working anymore, I have to say something, get it out in the open. He paced by the window, smoking. He had to say something, the words inside him ready to overflow and dribble down his shirt. He knew the promises he had made but surely in the end it was better for both of them. It’s not that easy. How do you start a conversation like that? It’s not the sort of thing you just blurt out: "Sorry darling, I don't love you anymore"
Perhaps that was her father's trouble. Easier to lead a double life, leave his wife and kid at home, clamber into his lorry and drive to the other family, explain away absences with the nature of his work. Easier to live that lie than to find the words. He was better than that. He wouldn’t hold out for this dying relationship. Time to read the last rites; he had to say something. He couldn't bear it. The look whenever she talked about that man. He gulped down his intentions, buried them deep in his chest. He looked to the window again. It had started to rain, puddles forming between the geraniums rotting in the window box. The British summer; something else he was going to have to live with. 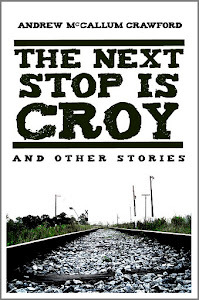 Alan Crossan lives in Barrhead near Glasgow. 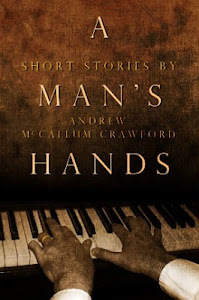 He writes mainly short stories and flash fiction but is currently working on his first novel. 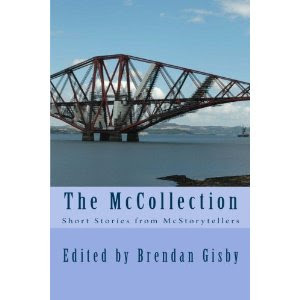 He is a member of the Glasgow Writers Group and his work is featured in The McCollection, an anthology from McStorytellers.